The Art of Joshua Middleton: New shop! I set up a new shop where I will eventually be offering original art, from published covers and interior pages to personal sketches, as well as prints of my work. 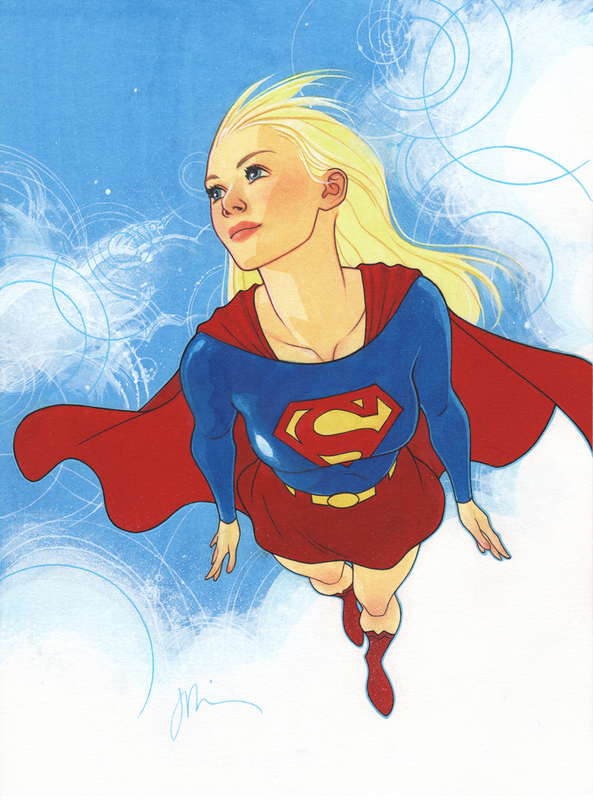 I have just a few pieces of original art available at the moment (the two maidens from my last post as well as this full color Supergirl) to make sure all is working well. I will be adding more art over the next few weeks. I've added a link to the top of the page, or just click here to visit now. Thanks for looking!